CAC curator Steven Matijcio has accepted a new position at the Blaffer Museum in Houston, Texas. He says a large part of his heart, though, will remain in Cincinnati. Steven Matijcio has called the Contemporary Arts Center home for the past five years. 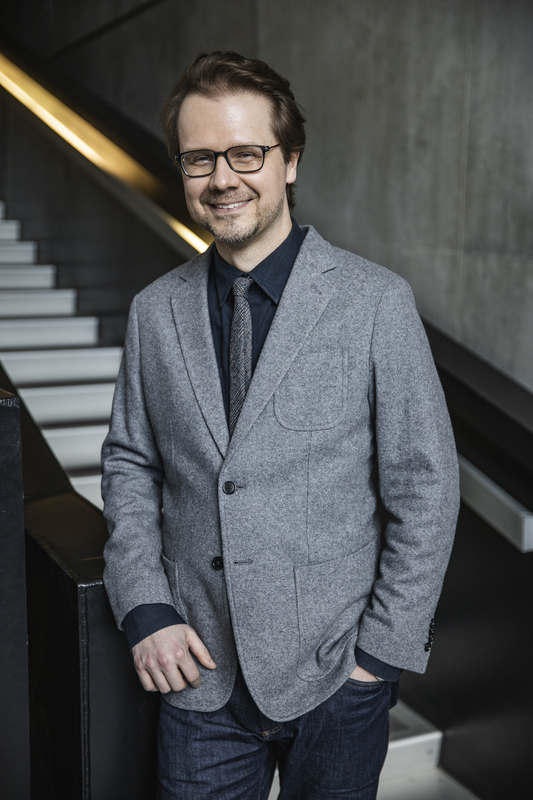 Next month, the museum’s head curator will experience a change of scenery as he steps into a new role as Director and Chief Curator at the Blaffer Art Museum, located on University of Houston’s campus. But this isn’t the last Cincinnati will see of Matijcio. He’ll be back at the CAC in May to oversee the final stages of one last curatorial project he’s been developing the past two years: Creatures: When Species Meet, which explores an artistic collaboration between humans and animals. Matijcio has curated countless engaging exhibitions like this during his half-decade at the CAC. And if you ask him which was his favorite, he won’t be able to answer. “I don’t have kids, but that’s like asking what child is your favorite,” says Matijcio, who then proceeded to share highlights about practically every show he’s curated at the CAC. Two exhibitions he particularlicarly enjoyed include Buildering: Misbehaving the City, which Matijcio says symbolized “beautifully complex” histories of cities, and Memory Palace, a display of disassociated pieces of history that Matijcio reminisces as an architecture of the mind. Matijcio also reflects fondly on the collaborative opportunities he’s experienced at the CAC, through which he’s discovered “rich tapestries of history, culture, thinking, identity, and politics.” He’s worked on solo shows with renowned artists, like Do Ho Suh, Swoon, Firelei Báez, Albano Afonso, Glenn Kaino, and he’s partnered with eclectic regional artists, including Mark de Jong, Alison Crocetta, Michael Stillion, Matt Morris, Cal Cullen, Amanda Curreri, and Lindsey Whittle. From “finding and losing loves inside and outside the gallery” to “becoming part of a second family at the CAC,” Matijcio says his time at the CAC has been rewarding. “This is a truly special organization fortified with wonderful people I feel privileged to have worked alongside. The city, organization, and community have set a bar I can only hope to reach in the future.” Matijcio plans to bring the lessons he’s learned at the CAC into his new role at the Blaffer Art Museum. In the meantime, the CAC is launching a national search to replace Matijcio, with plans to fill the position by fall. Fortunately for his replacement, Matijcio says the CAC’s exhibition program is already scheduled into 2020. Luckily, for Matijcio, it’s warmer in Texas.